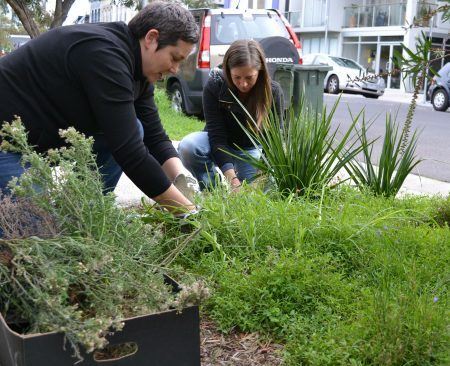 Communities for Nature is a group of local residents who are working together to green Brunswick’s nature strips, connect neighbours with each other and reduce the heat on the streets in summer. Brunswick Communities for Nature is a group of locals continuing the great work started by Adopt-A-Tree and MEFL’s “Communities for Nature” program in 2013. Their aim is to keep developing the nature corridor between Moonee Ponds and Merri Creeks through regular on-ground events. They do group plantings, bulk-buying of indigenous plants and share tips and tricks for making nature strips bloom. With over 150 nature strips planted, these Moreland people are doing their bit for the birds and the bees.